Regarded as the finest evidence technician training program of its type in the Midwest, this school is widely attended by individuals from local, state and federal agencies. Our comprehensive two-week program provides your personnel with a solid forensic foundation, giving them the confidence to work effectively in the field. Instructors of the various modules presented over this two week period, bring with them the perspectives of both the laboratory expert and the experienced crime scene investigator. The areas covered are wide-ranging and will provide the student with an excellent understanding of forensic science, criminalistics and the role of the crime scene investigator and evidence technician in criminal investigations. Topics include criminal and case law regarding crime scene investigations, fingerprint processing, diagramming, photography, impression evidence, biological evidence, trace evidence and specific types of crime scenes like burglary, robbery, death investigations, sexual assault, fire and crash investigations. For Illinois agencies, this two-week evidence technician training program is approved and certified by the Illinois Law Enforcement Training Standards Board. It is also approved in Illinois for Lead Homicide Investigator Training. 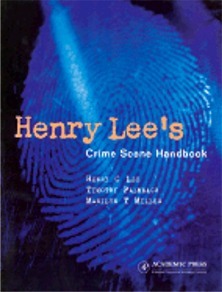 Henry Lee's Crime Scene Handbook is used as a text and is supplemented by our comprehensive Student Guide. This program utilizes a hands-on/cooperative learning group method of instruction that has been proven to help students retain a much higher percentage of the information presented. Instructors with extensive experience in investigating day-to-day street level crimes. Exposure to the latest techniques and forensic practices. An extensive array of tools and equipment brought to the classroom for the student's use. Focus on Photography - Students work through a number of photo exercises with their photos being printed and returned to them for immediate review. Critique and Review - Small class sizes allow the instructors time to go over the student's work and suggest methods of improvement. Currently, this program is has class sites only in Illinois. It is run through the Workforce and Professional Development Institute (WPDI) at the College of Lake County, Illinois. Those interested in registering can contact the office of Workforce and Professional Development at 847-543-2990 or tap below to download a fillable PDF registration form for the next scheduled class. Students need to bring a camera, flash and a tripod. All other materials are provided however students can bring any evidence collection equipment that they work with at their own agency. Students from Illinois law enforcement agencies that have successfully completed this program will need to print their state certificates directly from the NEMRT website. Please click here for instructions on printing certificates.